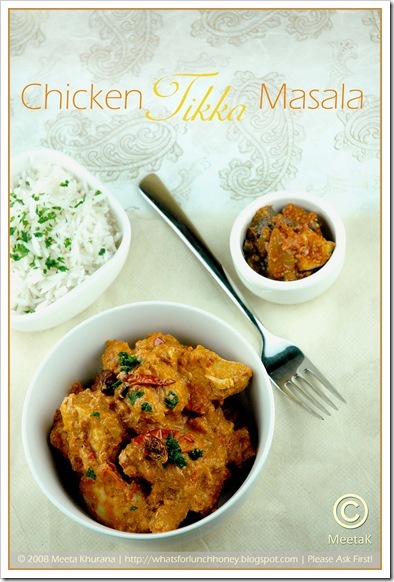 Tag Archives: "chicken tikka masala"
Bollywood Cooking: Chicken tikka masala: New Indian or fusion? Chicken tikka masala, New Indian or fusion? It was former British Foreign Secretary, Robin Cook, who proclaimed chicken tikka masala as the new national dish of Great Britain, in an attempt to set an example of British multiculturalism. The chicken tikka masala Mr. Cook was referring to was in actual fact the gravy-based dish invented in Britain.